The first step for all couples getting married in Australia is to lodge the Notice of Intended Marriage. 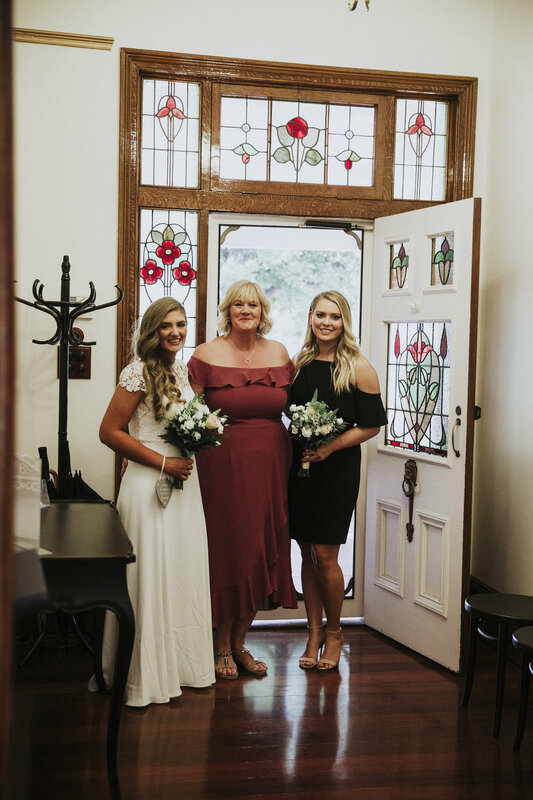 Once the Notice of Intended Marriage has been lodged with this office, we can then order your official Commonwealth Marriage Certificate from Canberra and prepare all of the legal paperwork for your marriage date. Lodging the Notice of Intended Marriage will also allow you to select a date for your marriage. The Notice of Intended Marriage can be lodged by either party to the marriage and can be lodged from within Australia or from overseas. There is a mandatory notice period for all marriages in Australia, which must be fulfilled prior to us signing the final legal documents. Once the Notice of Intended Marriage is lodged with this office, we can then schedule your marriage date (and provide a Fiancé Visa Letter if required). Although both parties to the marriage are required to sign the NOIM prior to the marriage taking place, if one person is unavailable at the time of lodgement, the other party can lodge the Notice of Intended Marriage on their behalf. The Notice of Intended Marriage can be found here; Notice of Intended Marriage. HOW DO I LODGE MY NOTICE OF INTENDED MARRIAGE? When lodging your NOIM online, you will need to fill in and print out the Notice of Intended Marriage, and then have it witnessed by a Police Officer at your local Police Station, before being sent to us via our Online Portal. (Alternatively a Doctor, Lawyer or Justice of the Peace can also witness this form) A photo taken on your phone OR a scan of these documents is sufficient to lodge the paperwork, however you MUST bring the original documents on the date of your marriage. 1. A Passport is the preferred method of identification, however a Birth Certificate is also acceptable. 3. If relevant, any Divorce Certificates should also be presented. Once you confirm you’re happy to proceed, we will also arrange an invoice for payment, which can be paid by Direct Deposit, Cheque, or Credit Card. Once your Notice of Intended Marriage is lodged with this office, we can then schedule your marriage date. Please note there is a mandatory one month notice period for all marriages in Australia, which must be fulfilled prior to signing the final marriage documents. ARE BOTH PARTIES REQUIRED TO LODGE THE NOIM? CAN I LODGE MY NOIM FROM OVERSEAS? Only one party to the marriage is legally required to sign and lodge the Notice of Intended Marriage with the Perth Marriage Office and commence the legal paperwork, so if the other party to the marriage is overseas or not available at the time you wish to submit your paperwork, this does not prevent the Notice of Intended Marriage from being lodged. When lodging the Notice of Intended Marriage from overseas, it should be witnessed by a Notary Public, before being uploaded via the Online Portal. Anyone over the age of 18 can marry in Australia, irrespective of their nationality (or their partners nationality). Couples are not required to be Australian Citizens or have Permanent Residency in order to legally marry in Australia, as long as they can provide a Passport as proof of their date & place of birth and there is no legal impediment to their legal marriage. 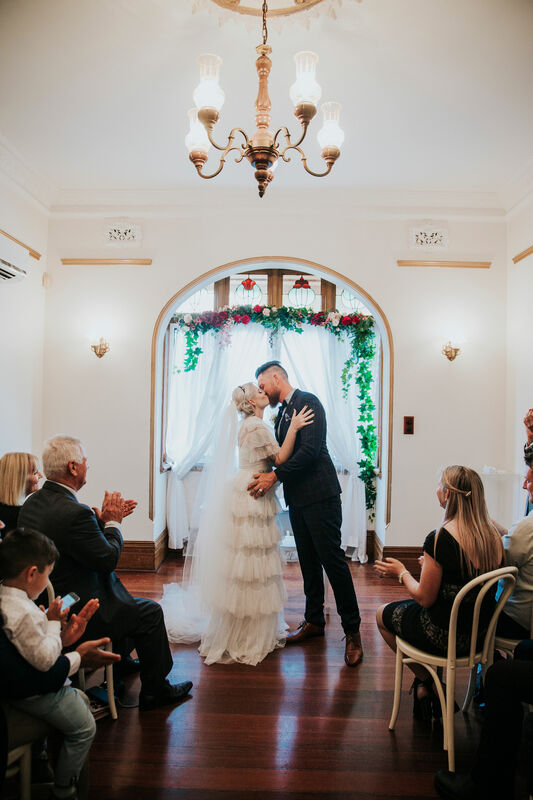 A passport is the preferred method of identification for marriages at the Perth Marriage Office, as this form of ID provides the required evidence of your place and date of birth, as well as a photograph of the passport holder. If you are able to provide an Australian or Foreign passport, you will not require any other identification. If a passport is not available, an original Birth Certificate can also be used as identification, although sufficient photo ID will also need to be provided if using a Birth Certificate. Your original identification documents will need to be sighted at any time prior to your marriage taking place, however if they are not available at the time you lodge your Notice of Intended Marriage, they do not prevent you submitting your Notice of Intended Marriage. These documents can be signed on the day of marriage. If a divorce is pending or if the paperwork is not immediately available, this does not prevent you from lodging your Notice of Intended Marriage. The paperwork can be provided at any time prior to your marriage. WHAT HAPPENS ON THE DAY OF MARRIAGE? On the day of your marriage, your Commonwealth Marriage Celebrant will perform the legal requirements for marriage in Australia. The bride and groom will also need to arrange for at least two adults, (at least 18 years of age) to be present to witness their marriage. Your Commonwealth Marriage Celebrant will recite the Monitum, explaining the nature of marriage in Australia. The couple will then exchange legal vows (and rings if so desired), before signing the Marriage Certificate. Your witnesses will also sign your Marriage Certificate, and your Commonwealth Marriage Celebrant will officially pronounce you as Husband and Wife. You will leave on the day with your official Commonwealth Marriage Certificate.